The following statement on the condition of the Trinidad and Tobago Men’s National Under-20 Team was issued by Secondary Schools Football League (SSFL) president William Wallace. 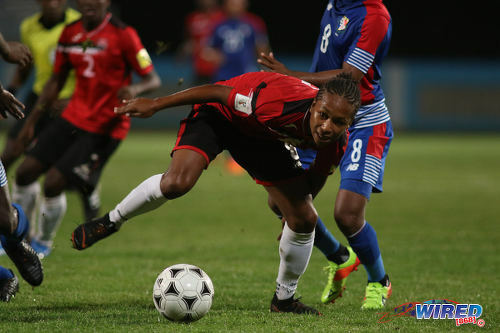 Photo: Teenaged Trinidad and Tobago midfielder Judah Garcia (centre) tries to keep hold of the ball during friendly senior team international action against Panama at the Ato Boldon Stadium in Couva on 17 April 208. 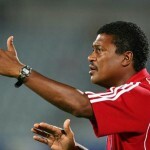 Garcia is also a member of the National Under-20 Team. It is with extreme concern that we as an organisation are observing another debacle that awaits our National Under-20 Men’s team at a World Cup qualifying tournament hosted by CONCACAF. The recent experience of the Senior Women’s team is still fresh in our minds. For several years, the Secondary Schools Football League has been a strong supporter of our National Teams, albeit without recognition from some quarters. We provided and continue to provide a platform for many of our players who have excelled in national colours in CONCACAF and FIFA competitions. From the 1991 National Youth team captained by Dwight Yorke—where several of those players on that team that qualified for the FIFA Youth World Cup came through the Secondary Schools Football League—to the Women’s Team of 2010 that participated at the FIFA U-17 Women’s World Cup on our shores, the U-17 and U-20 Men’s Youth teams that participated at the 2007 and 2009 FIFA World Cups; all these teams included players that were part of the SSFL system. Not to mention the countless teams that have made it to CONCACAF Final round competitions. At this time, the core of the Under 20 Men’s team is made up of players from the SSFL. It is well known that the mindset of future National Senior Team players depends heavily on their experiences at the junior ranks. Therefore we are very fearful that what could occur in a couple weeks time in Bradenton may not be something our players may want to remember; and will not auger well for those players who are hoping that this tournament would afford them opportunities to be seen by the many scouts who take a keen interest in this age group. Frankly this situation may contribute to killing the dreams of many of our players. 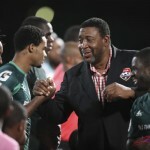 Our boys will face St Vincent an the Grenadines on November 1st, approximately 12 days from today. All of our opponents—including the US, Puerto Rico, US Virgin Islands and Suriname—have been active for the past few weeks. And others, for months, were feverishly preparing for their upcoming assignments while our team has not had one session together as unit in over three months. This cannot be business as usual. It is our hope that good sense will prevail in the shortest possible time to have this team back in training to give it even the slightest possible chance of advancing beyond the group stage. 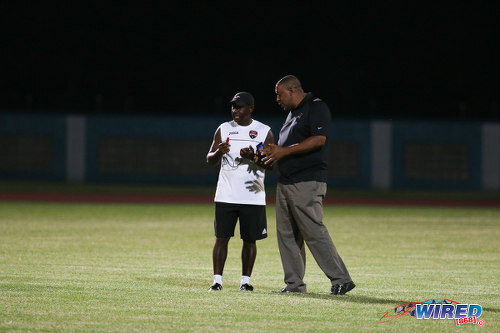 The SSFL is here to support and will be willing to engage in dialogue to explore what options there may be towards assisting with the challenges that are keeping this team off the training pitch. 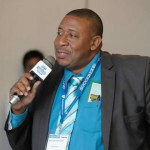 At this point I think it is best that we abandon plans to send any team both as a form of protest against the TTFA president (or dare I say despot?) and also to protect the image of our football ( whatever is left of it). It makes absolutely no sense to subject these young men to this sort of nonesense since, if they were to be eviserated by the opposition (due to inadequate preparation) it would only serve to fracture their self esteem/ self confidence. This I think would be the real trajedy here. 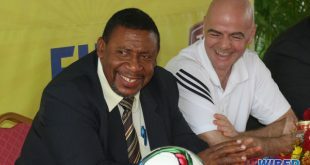 Whilst I understand that governments cannot directly interefere with football associations as per FIFA regulations, surely there must be something that someone can do to highlight our plight with the incumbent regime. This simply cannot be allowed to continue ad infinitum! A voice crying in the wilderness? 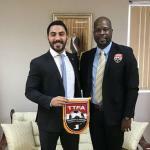 When will you accept that sport administration in Trinidad and Tobago, with precious few exceptions, is about the administrators and not about the players?